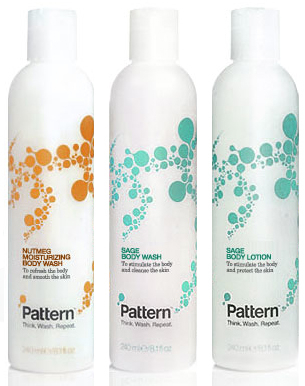 There’s now even more to love from your favorite body wash line, Pattern. Jim Fogg’s expanded his family of luxe treats by introducing two new scents: Sage (crisp, herbaceous, and citrusy) and Nutmeg (warm, sultry, with a hint of spice). And as always, his multi-tasking cleansers are good for hair, face and body. The Sage Body Lotion, which hydrates deeply and absorbs quickly, seamlessly complements all of Pattern’s body washes. To learn more about the new products, click on the following links. Your skin can handle the truth. Have you been introduced to Ole Henriksen’s newest additions to his beloved Truth collection? With Truth Revealed Super Creme SPF 15, you’ll reveal your skin’s true beauty by improving its texture and firmness. This super-rich moisturizer (packed with Micro Algae, Tripeptide-5, and Omega 3 Happiness Concentrate) incorporates what you love most about Truth Serum™ Collagen Booster, while delivering superior hydration and anti-aging benefits. To learn more about Truth Revealed, click here. Truth is in the Eyes is a revolutionary peeling system that’s challenging and changing the way we think about eye care. Because the tissue around the eye is so fragile, it is often recommended NOT to exfoliate that area – until now. For the first time ever, Ole Henriksen has developed a very gentle exfoliating treatment for the eyes. Loaded with Micro Algae, Rice Bran Protein, AHA’s, Vitamin C and Saccharide, this lightweight gel strengthens under eye tissue and visibly reduces dark circles and puffiness within a matter of weeks. To learn more about Truth is in the Eyes, click here. You are currently browsing the miomia's musings : miomia apothecary blog | shopmiomia.com blog archives for February, 2011.